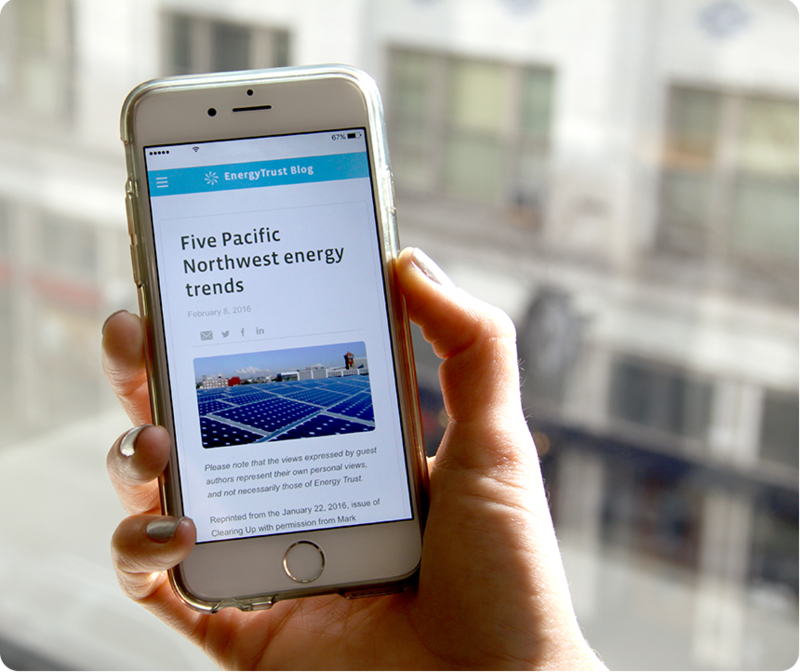 This month, the Energy Trust blog has a new look and format to help you find the news you want. The new blog is mobile-friendly, meaning it will look just as good on your phone or tablet as it does on your computer. Check out the Our News tab for articles about energy-efficiency and renewable energy trends and strategies. Other articles are organized by relevant customer type, including industry and agriculture, commercial, multifamily, residential and renewable energy. Interested in receiving monthly updates about general energy-efficiency trends, or quarterly newsletters for industry and agriculture, commercial and multifamily customers? Sign up here.